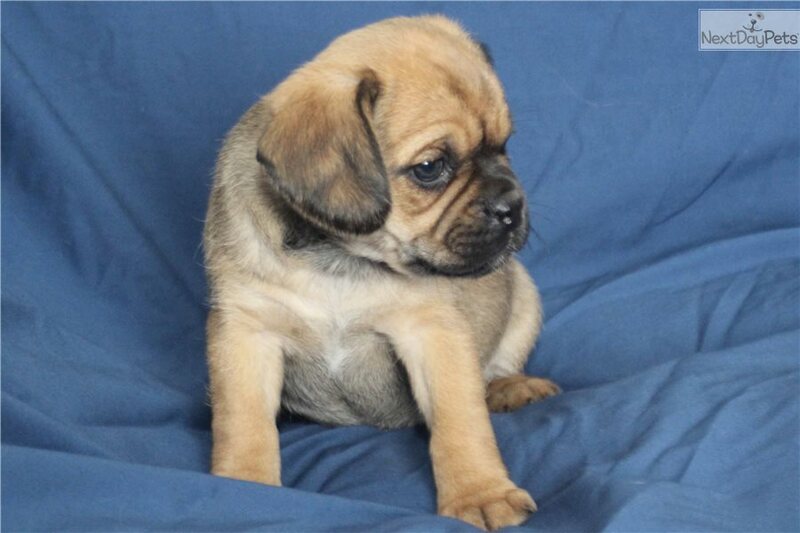 Adorable home raised 1st generation Puggle "April"
This Puggle nicknamed April sold and went to a new family. 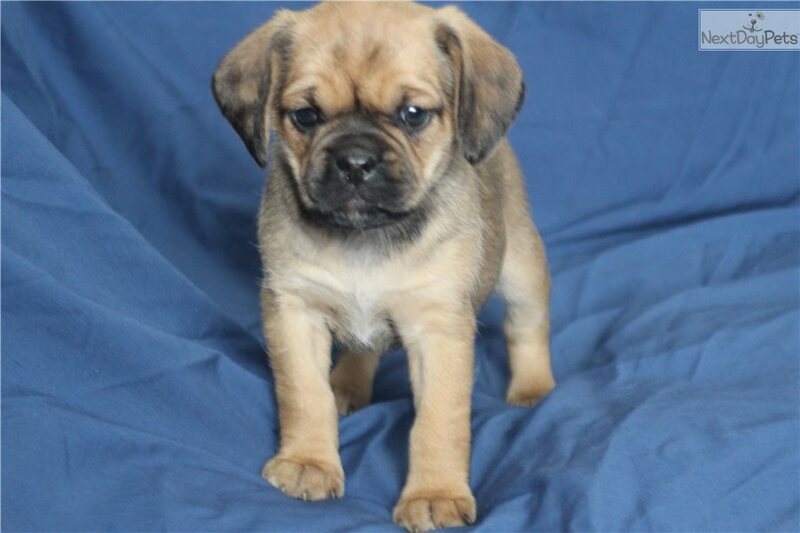 We are one of the oldest names in Puggles, and one of the only "in home" breeders where puppies are born and raised in our house, not in a kennel or outbuilding! 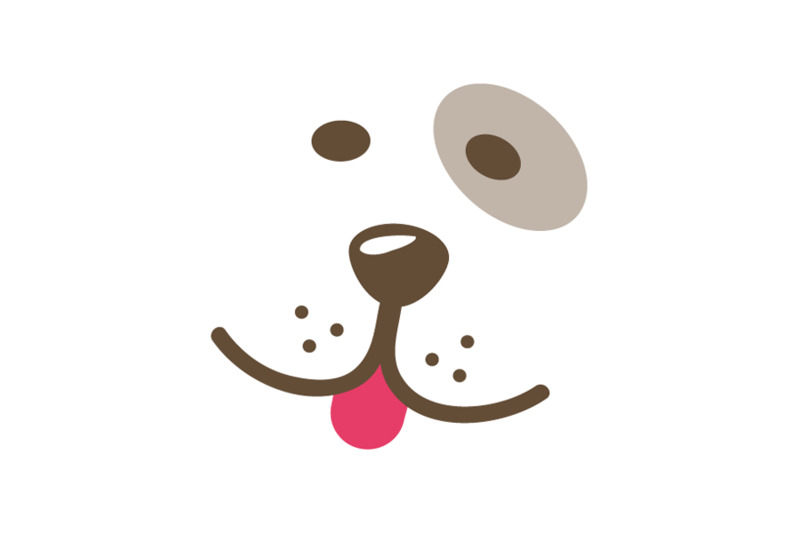 Join our page on our facebook page at: https://www.facebook.com/pugglebaby.com See our years of customers and wonderful reviews. PLEASE READ OUR ENTIRE AD! First and foremost, we are the actual breeders to this litter. Both parents are on-site and are our pets. They were born and raised in our HOME. We are not a broker, puppymill, or pet store! Where a puppy comes from is important, and it should matter! 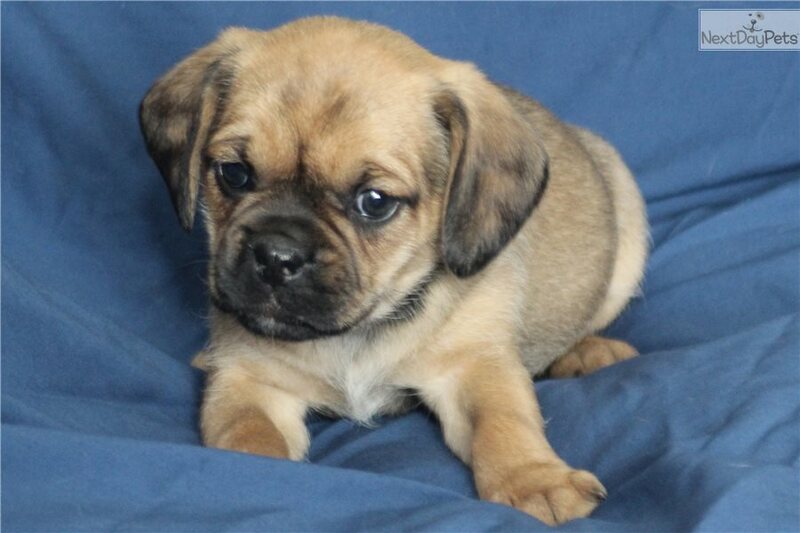 ABOUT APRIL: April is a cute little tan/fawn first generation Puggle (designer mixed breed). 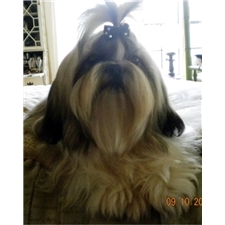 Her father is a purebred Pug and her mother is a purebred Beagle. Both parents are on site. 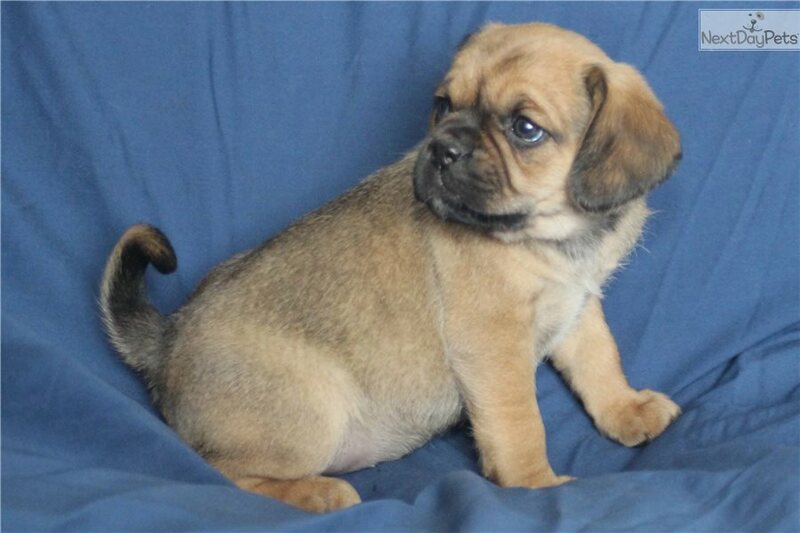 Spring is still very young, but all of the puppies from this litter seem like the typical friendly and outgoing Puggle puppies that we have. 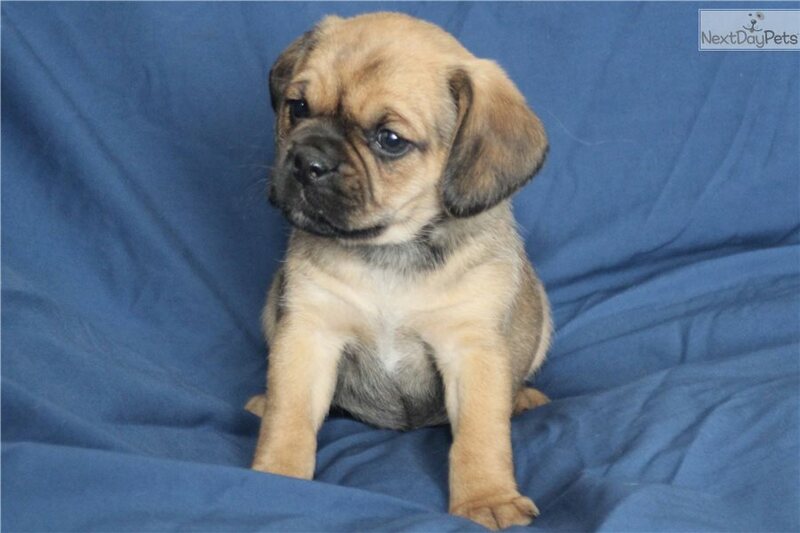 April is one of the two last Puggles that we are having for Spring 2018. Our next litter will be available sometime in summer 2018. These puppies will come vet checked, with first vaccinations, current deworming, dew claws removed, micro-chipped, 3 year genetic health warranty, which is the best you will find from an actual breeder of this mix, and a purina pro plan puppy packet. WE DO NOT AIR CARGO SHIP OUR PRECIOUS PUPS! We can hand deliver them directly to you via car or plane for $400-500 depending on location. People are more than welcome to pick the puppy up in person at our lovely farm in Kentucky. Make a weekend of it, and check out the Bourbon Trail or Mammoth Caves! 6% sales tax is required for those picking up in Kentucky. PLEASE CONTACT US DIRECTLY IF YOU ARE INTERESTED IN ONE OF OUR PUPPIES!